Four star boutique hotel Chateau Les Merles in the Dordogne. 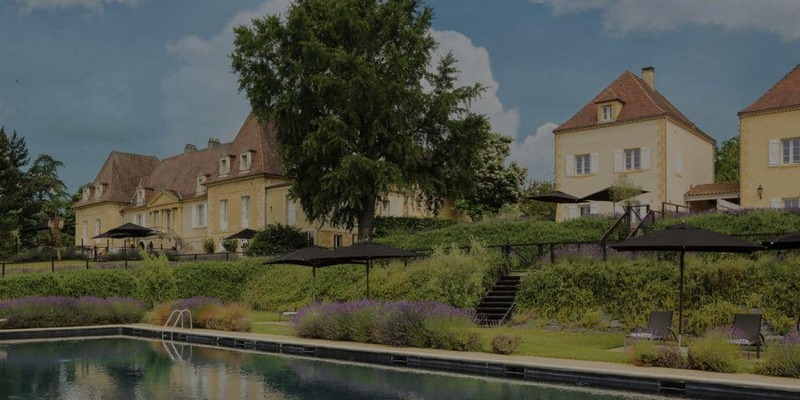 Luxury four star hotel Château les Merles welcomes you for an unforgettable stay in the middle of the beautiful nature of the Dordogne close to Bergerac. 12 rooms, 2 suites and a spacious apartment offer the comfort of modern times in a 17th century Chateau. The contrast with the original architecture and the modern touch makes Les Merles a luxurious, charming and attractive design hotel offering extraordinary elegance combined with unparalleled service in an intimate, friendly and cosy atmosphere. The hotel also has a wheelchair accessible room with private terrace access and direct access to the swimming pool. Double room in a modern design with a black wooden floor. Spacious Double deluxe room with garden view in a contemporary and stylish design. Spacious suite with additional living room. Big windows with park view. Apartment with two bedrooms, two bathrooms. Ideal as family room. Rent your private villa with family or friends. Click here for more information.